COLORADO SPRINGS, Colo. – USA Hockey announced today the roster for the U.S. Women's National Team that will compete in the 2019 Rivalry Series against Canada Feb. 12-17 in London and Toronto, Ontario, and Detroit, Michigan. 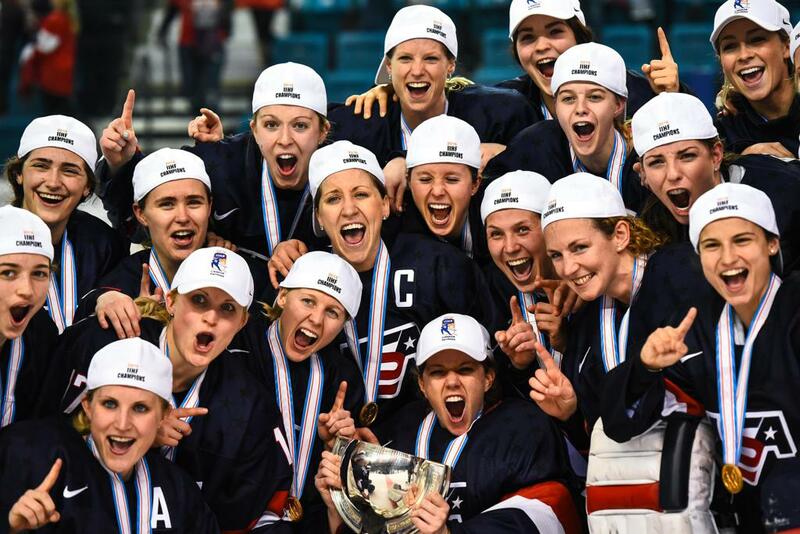 The roster features 14 members of the gold medal-winning 2018 U.S. Olympic Women's Ice Hockey Team, including Kacey Bellamy (Westfield, Mass. ), Hannah Brandt (Vadnais Heights, Minn.), Dani Cameranesi (Plymouth, Minn.), Kendall Coyne Schofield (Palos Heights, Ill.), Brianna Decker (Dousman, Wis.), Amanda Kessel (Madison, Wis.), Hilary Knight (Sun Valley, Idaho), Gigi Marvin (Warroad, Minn.), Sidney Morin (Minnetonka, Minn.), Amanda Pelkey (Montpelier, Vt.), Emily Pfalzer (Buffalo, N.Y.), Alex Rigsby (Delafield, Wis.), Haley Skarupa (Rockville, Md.) and Lee Stecklein (Roseville, Minn.). In addition, three more Olympians are represented, including 2014 Olympic silver medalists Megan Bozek (Buffalo Grove, Ill.), Alex Carpenter (North Reading, Mass.) and Shelly Picard (Taunton, Mass.). 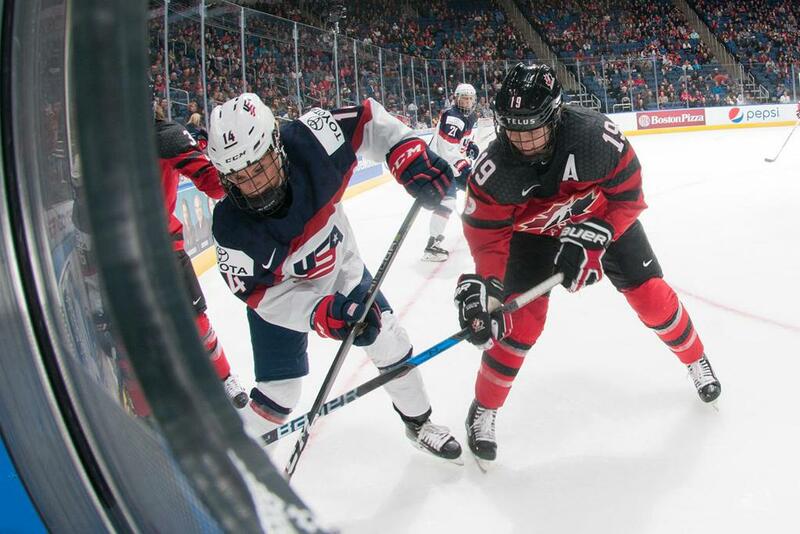 The roster also includes 12 players that helped the U.S. earn its fourth consecutive tournament championship at the 2018 Four Nations Cup, held Nov. 6-10 in Saskatoon, Saskatchewan. The 22 players represent nine different states. Minnesota leads the way with five representatives followed by Massachusetts with four, and Illinois, New York and Wisconsin each with three. Alaska, Idaho, Maryland and Vermont all have one representative. For a complete roster, click here. NOTES: Bob Corkum (Salisbury, Mass.) is serving as head coach of the 2018-19 U.S. Women's National Team... 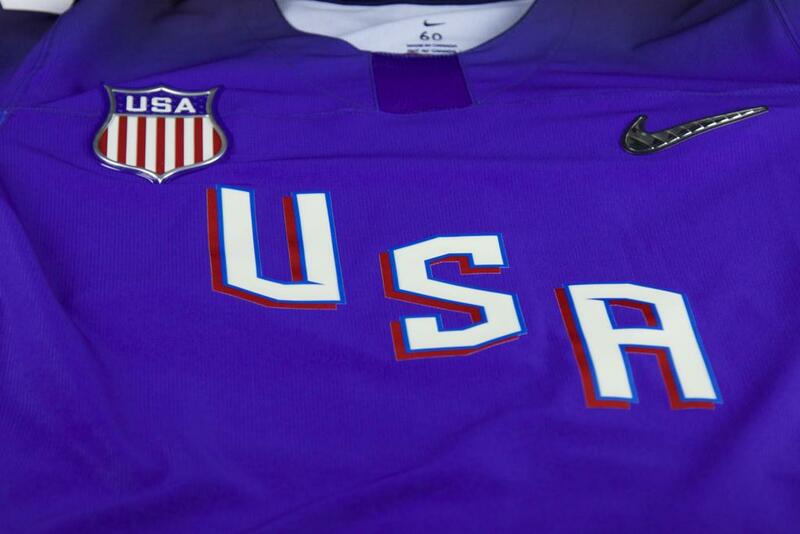 The full U.S. staff roster will be announced at a later date... Media wishing to attend and cover the Feb. 17 USA vs. Canada contest should complete the online credential form by Friday, Feb. 8, at 5 p.m. ET. 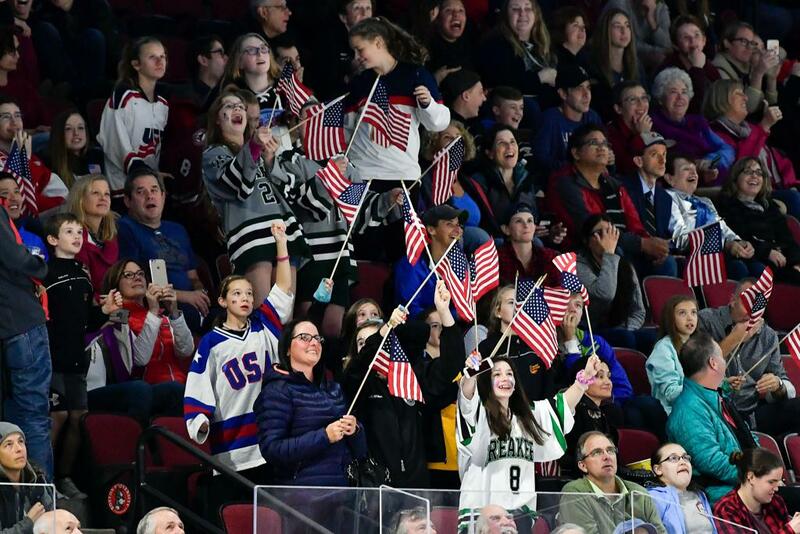 ... For more information on the 2019 Rivalry Series, including how to purchase tickets, please click here... USA Hockey’s international council, chaired by Gavin Regan (Potsdam, N.Y.), vice president of USA Hockey, has oversight responsibilities for all U.S. national teams.